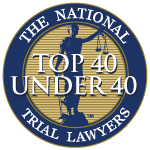 An automobile accident can be a devastating, life-altering experience. 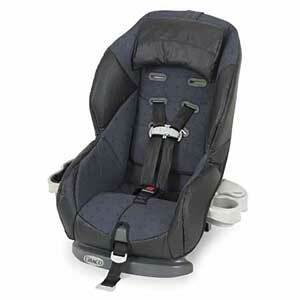 But when the accident causes injury to a child, it is often due to the improper use of child safety seats in vehicles. The National Highway Traffic Safety Administration, (NHTSA), estimates that deaths and injuries to children caused by car crashes could be reduced by 50% if every child passenger were properly buckled up. Sadly, many parents think their child safety seat is properly installed when it is not. Florida personal injury lawyers remind you that there are professional community resources available to help you ensure that your child safety seat is secured in your vehicle correctly. • Babies 1 year old and younger should be in rear-facing infant seats or convertible seats in the back seat of the vehicle. The rear-facing position supports the child’s entire head, neck and back and helps reduce stress to the neck and spinal cord in a crash. Age is the most important factor due to developmental issues. However, both age and weight requirements should be met before the child is moved to a forward-facing seat. • Children age 1 year old and at least 20 pounds all the way through 4 years old and 40 pounds can use a forward-facing toddler seat in the back seat of the vehicle. These seats include an internal harness system that keeps the child properly restrained and “snug straps” that limit forward motion, providing greater “ride down.” The forward-facing position provides for the even distribution of physical forces over the child’s body in the event of a crash. • Children between 4 and 8 years old need to use a booster seat in the back seat of the vehicle. It’s estimated that only 10-20 percent of children in this age category actually use booster seats. Booster seats help ensure proper seat belt placement – resulting in a safer ride for your child. It is the appropriate next step after the child has outgrown a forward-facing child safety seat. • Any child under 13 years old should always ride in the back seat of the vehicle. Your child is ready for a vehicle seat belt only when the lap belt can be fitted low and snug across the child’s hips, and the shoulder belt does not rest against the child’s face or the front of his/her neck. Properly restraining a child in the back seat can significantly reduce the risk of death or injury in a crash. • Additionally, Florida law prohibits anyone below the age of 18 to ride in the bed of a pickup truck. There are several community agencies and organizations available to help you make sure your child safety seat is properly installed, and can teach you the proper way to use it. South Trail Fire and Rescue 2112 Crystal Dr.
DeSoto County Health Department- Healthy Start 34 South Baldwin Ave. Since 1971, Associates and Bruce L. Scheiner, Personal Injury Lawyers has been concerned about your safety and your children’s safety. This time of year, when parents are rushing around to get older children off to school, they sometimes don’t take the safety precautions they should for their younger children. Please take the time to have your child seats checked out.